Play is well-established as central to the learning processes of young children and is included in UK state legislation. This exploration will counter the assumption that play-based learning is of value only to Early Years teaching and learning by outlining how it has been used to develop and carry out research within a Higher Education postgraduate programme. 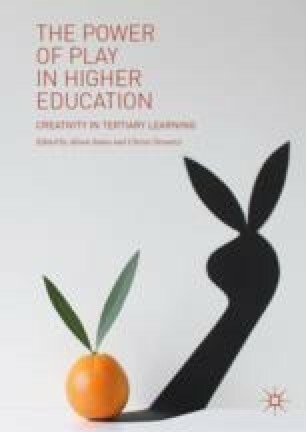 By outlining a number of benefits of play-based approaches to teaching, learning and wider curriculum development at postgraduate level, this chapter demonstrates how a play-based approach to postgraduate programmes can enable programme teams to create transformative learning environments that enable risk-taking and innovation, enhancing the creative practice of learners and meet the changing needs of a contemporary workplace.